During the occasion of the Festival of the Patron Saint SS Salvatore, at Schiazzano, Massa Lubrense and in the days that follow, the Festival of the Fiordilatte, is celebrated, combined with an exhibition of agricultural products and crafts. The Festival of the Fiordilatte is a veritable feast of flavours of typical local dishes, and is meant to express the vocation of production, tourism and culture of the Lattari area. 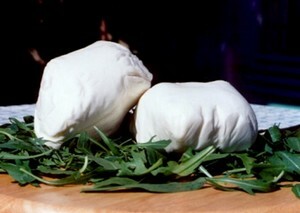 The Fiordilatte (fresh cow’s milk mozzarella) is undoubtedly the prevalent dish and is accompanied by homemade bread, tomatoes, vegetables and salami. This unfailing degustation is combined with cultural events, that speak of an area conscious of its traditions.